The market is not making it easy for the bulls or for the bears as it continues to make record high. Just in the previous session, the DJIA made a new all time high with confirmation from the DJT and the bulls see it as coast is clear for higher high. Then today, the DJIA making another new all time high by a slim margin of 0.30 with the DJT failed to close with a new high, and that gave the bears something to smile on. But before the bulls move to the sideline or the bears starting a field day, the Russell 2000 said not so fast. The small cap Russell 2000 closed with a new all time high that surpassed the previous high by more than 1% or 12.40, and to cast more confusion into this picture, the tech heavy Nasdaq 100 also closed with another new multi-year high and showing improved market breadth. So what should one do? AAPL broke through the 529/530 level and could be heading toward the previous pivot high near 539. There is a resistance pivot level near 555 in which lies the 141% Fib extension. 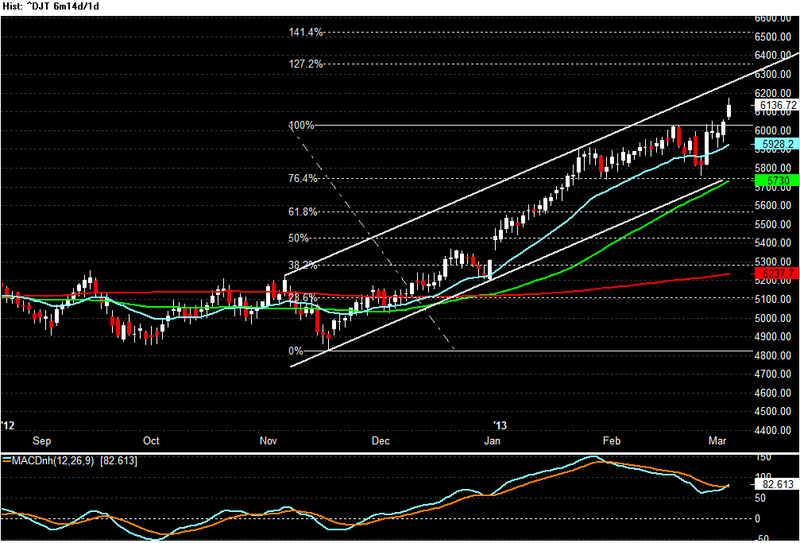 Barring any major market correction, the near term target for AAPL is the 539 then the 555. The market is looking a bit tire, but not too tire to prevent it from reaching another new all time high for the DJIA, DJT and a new multi-year high for the Nasdaq 100, NDX. The chart of the indices shows the SP500 and the Russell 2000 did not make new high along with the DJIA. There seems to be a bit of shuffling amongst which indices to join the DJIA in the new high territory. Here is today's update for AAPL. It appears to be making an attempt to reclaim previous support levels. Click here to view the previous update. Although the DJIA made another new all time high and closed above the 16,000 level for the very first time, the other market indices really have not change their character. The picture from the chart below is nothing new, we have seen this before. 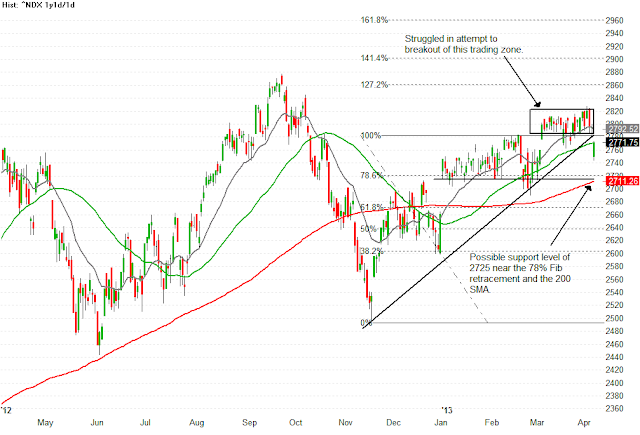 Here is the latest update on AAPL price action. Click here to view the previous update. Here is a quick review of the 30 stocks in the DJIA. Here are couple defensive stocks to watch. Take a look at the chart below. It appears to be playing out one of the scenario that was mentioned in the earlier video. If you have watched the video, then today's price action should not have been a total surprise, maybe unexpected, but not surprised. The elephant might be leaving the room. Here we go again, look at the chart below. AAPL continues to recover from its near term low. After forming a double bottom and tested the pivot point for support, it appears to be consolidating near the 515 level with a potential bull flag pattern. As it breaks this bull flag pattern, the measured move could project a possible price target near the 580-595 range. Here is the first post I did on HPQ turnaround play. And here is an update on HPQ. The market simply keeps going up as there is nothing to impede its march toward the 16,000 for the DJIA and 1800 for the SP500. The Russell 2000 still lag all the market indices and warrant a close watch for clues of possible pull back or blow out. The following chart shows how all the indices are synchronized on making new high while the Russell 2000 is trailing behind. Just when the market flashes a sign it is getting ready to take a rest, it re-energize like the energizer bunny and zoom to another new all time high for the DJIA, DJT, and SP500 along with the Nasdaq 100 making a new multi-years high. The only index that did not make a new high was the Russell 2000. While the market indices made new high, the internal market breadth continues to deteriorate, so when will this stop? The answer might appear when euphoric/panic buying occurs. Until then, pick your stocks, manage your risk, and trade your plan. Here are the charts of the internal market breadth for the NYSE and the NASDAQ. Here are some stocks to watch for potential upside move. As the DJIA continues to make new all time high without the participation from other market indices, the market is generating a state of confusion. The DJIA made new all time high twice last week. The first was on Wednesday, then followed with a big down day and a sudden reverse on Friday to regain all the Thursday losses and closed with another new all time high. The SP500 followed the DJIA and closed with a new all time high as well. Although the other market indices; DJT, NDX and RUT had a nice big green day, but not enough to push these indices into new high territory. All these market indices failed to confirm neither the Wednesday nor the Thursday new high put in by DJIA & SP500. Just one chart and one phrase "non-confirmed" DJIA new all time high. Here are three stocks with high short interest along with recent breakout could lead to short squeeze as the performance chasers start a run with their buying spree. Market made a new high early in the week then pulled back and started to consolidate the recent gains. The small cap, Russell 2000 pulled back with a bit more conviction than the other major market indices. This is probably due to the recent speculative run up on some of the small cap stocks. 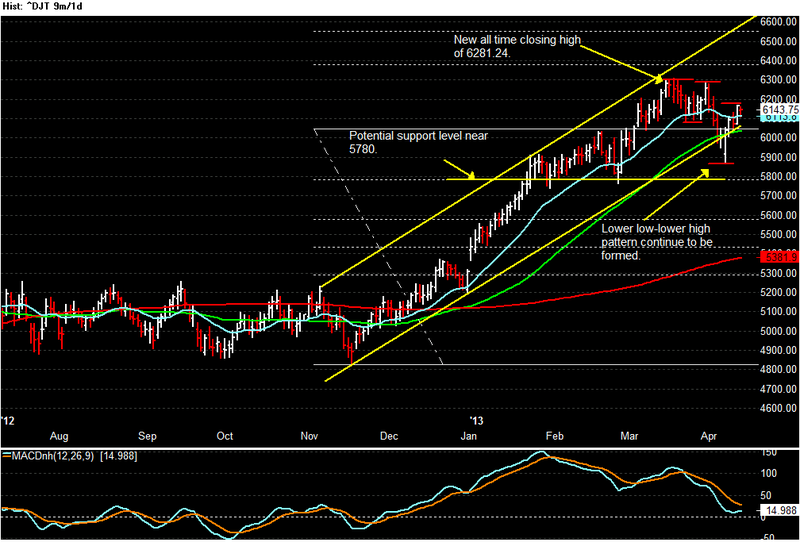 But by no means is this pull back signifying a top has been made by the Russell 2000. It might have been, only time will tell. But at the present there is no evidence to indicate it has made a top. The Dow Jones Industrial finally made the new all time high that the Dow Jones Transportation has been screaming to tell the Dow Theory followers. One might believe today’s new high could be the market top, but to the contrary. The SP500, Nasdaq 100, Russell 2000, and the DJT all made new high along with the DJIA. 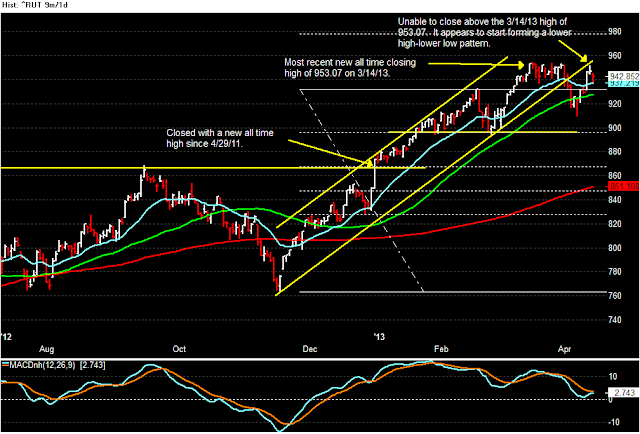 What this mean is today’s DJIA new high is a confirmed high. Only after the market index has made a non-confirmed high is when we should look for the possibility that the market has made a top. Until then, we will continue to monitor for a higher high. In the video, the DJIA and its ETF, DIA along with the price action for AAPL after its earnings report are reviewed and analyzed. Here are the four stocks to keep an eye on for the coming week. These four stocks are scheduled to report their earnings. The most widely watched is AAPL. It is schedule to report earnings after the close on Monday, and the options market is pricing in approximately pulse/minus $35 move on earnings. Most of the major market indices were hitting new high during the week except the DJIA. The DJT continues to show strength and it only experienced its second down day on Friday from the last twelve trading sessions. Talks about how extended this market continue, and the market continues to defy those disbelievers as it makes higher high. Don't be fool by "It's different this time". Watch this PBS documentary of the 1929 stock market crash and see the similarities between today and 1929. If you have been following this blog and read about the Dow Theory in this blog and/or from elsewhere, you have probably got the message from the market already. Yes, sometime the market sends out messages that are loud and clear and not complicated. But the value of the message is only as worthy as the recipient's ability to interpret it. Here is what the market has been saying (see the charts). NFLX stock price surged more than 10% after it has reported earnings on Monday. The after hour price action appears to be following what GOOG stock price has done after it reported its earnings. Then something happened in the Tuesday session, NFLX changed the tune. It has decided not to play the song GOOG played and its stock price came straight down after gapped up on the open at a new all time high near the 390 level. NFLX reported its earnings today after the close and knocked it out of the park. AMZN is schedule to report its earnings this Thursday after the close. AAPL is scheduled to announce the next generation IPad tomorrow. It appears the high beta, large cap tech stocks are zooming higher on any positive news. Of course, it can move the other direction as well with any negative news. Live by the sword, die by the sword. The band plays on! Here are some interesting natural resources, oil & gas charts with potential long breakout level to watch. Be sure to check out "More To Come" to see where the market might be headed, and "Trading All Time High" on one possible way to buy high sell higher, and get an idea on what the options market is pricing in for the "Event Driven Trades" on NFLX & AAPL. 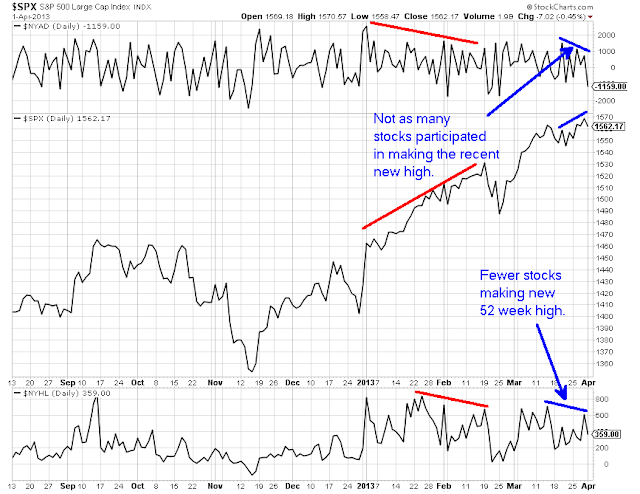 Next week, two high beta and widely watched stocks will be holding price moving event. One of them is NFLX, it will report its quarterly earnings after the market close on Monday. The second one is AAPL, it will be holding a product announcement event with the possibility of announcing the next version of Ipad on Tuesday. These events will most likely move the stock price of the respective stock. Not only did the market indices such as SP500, Nasdaq 100, Russell 2000, and the Dow Jones Transportations made new all time high recently, but many stocks also made new all time high. Trading stocks that have just made new all time high could pose a few dilemmas for the traders. Couple possible dilemmas a trader might face when trading a stock that just made a new all time high are: 1) where is the next price resistance or price target for establishing potential risk & reward, 2) the risk of buying into a profit taking pullback or a correction. The market continues to make new high as the DC clown show came to an end and a new round of earnings report begins. The SP500, Russell 2000, and the Dow Jones Transportations index made new all time high, while the Nasdaq 100 made multi-years new high. The DJIA is the only index that fails to come near to its last new high. This does not mean the market has top out nor the new high from the other market indices is non-confirm. To the contrary, the market breadth shows remarkable strength, with the advance/decline and the new-high/new-low surpassed previous high indicate broad market participation. YHOO will be reporting its earnings after the close on Tuesday, 10/15/13. For those that are holding YHOO or planning to trade YHOO through earnings report, here is the current option market pricing for the expected move from the earnings report; it is expect YHOO to move +-6%, and that is equivalent to approximately $2.10 from Friday's closing price. From the intraday chart below, the upside price move level is near the upper price channel and the downside price move is near the last pivot low off the lower price channel. The market continues to be jerk around by headlines coming out of DC on the budget deal clown show. While the DJIA appears to be a bit uncertain, the Nasdaq 100 and the Russell 2000 are getting near to test the recent high. AAPL and FB are two of the most watched stocks, and they both have been recovering from their recent low. Since the last earnings report, FB not only has regained the losses since its IPO but has nearly doubled since its last earning report. In the last two weeks, FB started to consolidate its recent gains. Last week, it ended with two consecutive weeks of losses for the first time since May of this year. The price action from last week resulted in a bearish hangman like candle on the weekly chart. 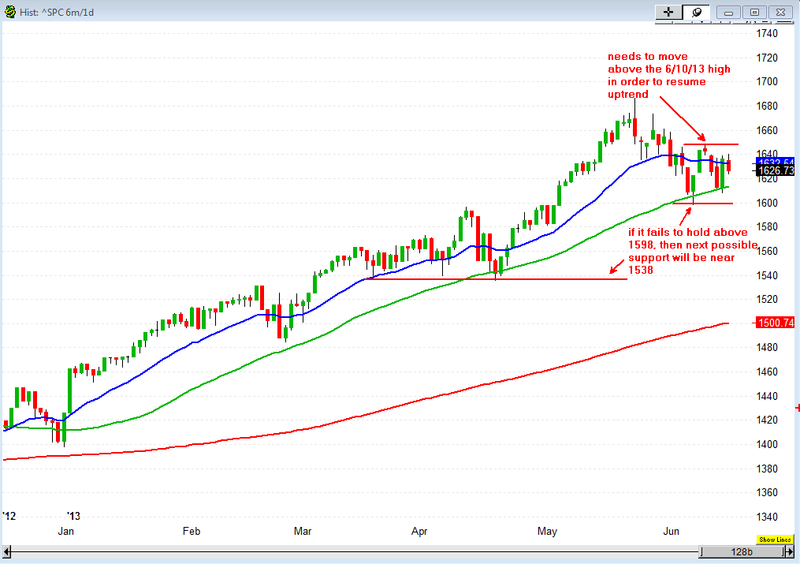 In the "Pulling Back And To The Sideline" post, the DJIA price chart gave some indications that a bounce could be coming and also provided some possible resistance levels. The market has finally culminated to more than a minor pull back. Since the beginning of July, the DJIA 50 SMA (green line) begins to turn from a rising trend toward a falling trend, and the index has been retreating since it made its new all time high on 9/18/2013. 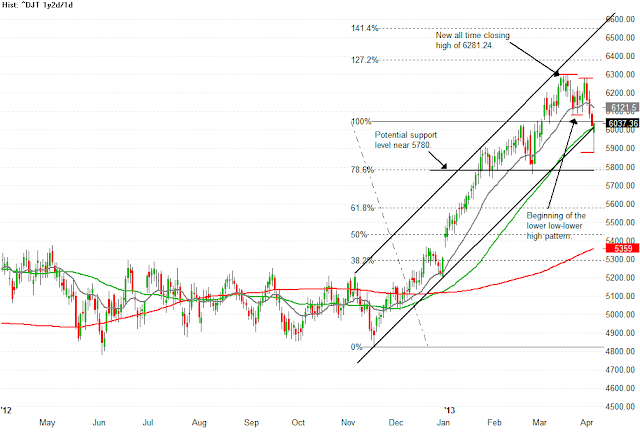 FB is trying to hold above the near term support trend line. If it fails to hold above this trend line, then it could possibly dip down to the 78.6% Fib retracement level near the mid 45 area to test for support. 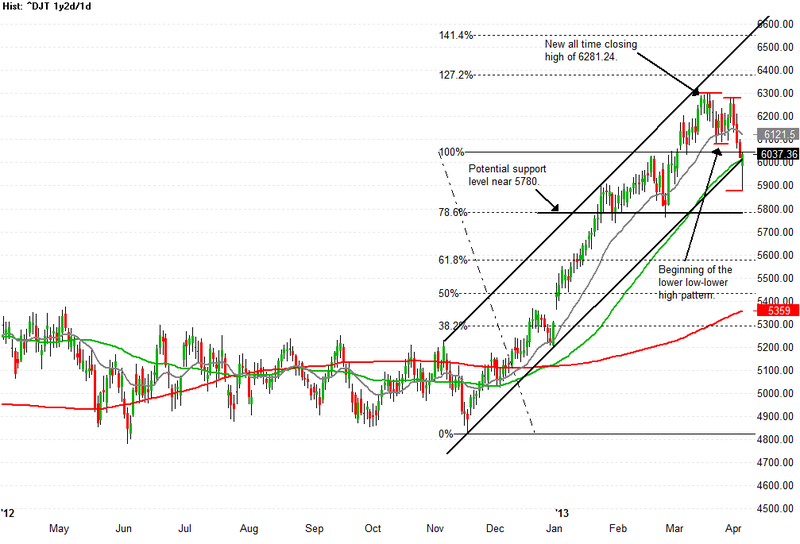 Here are three stocks that could be headed down to fill their recent price gap if they fail to hold some key levels. One of the most common price pattern appears on a stock chart is a flag or a pennant pattern. It could be a bull flag or a bear flag, depending of the direction of the price trend. 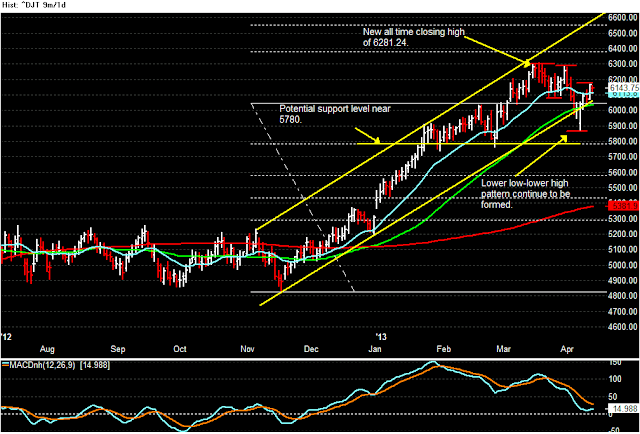 In this discussion, we will focus on the recent bull flag from SNDK. The market continues to chop around while the clown show in DC plays on. Shorts are being punished as they continue to try to go against the trend by shorting those strong trending stocks such as TSLA, NFLX and FB. Until the trend has changed for these stocks, it is best to simply move aside and watch. And for those that are waiting to buy the dip, their patience are being tested and when these waiting to buy the dip start to buy at any cost, that is when the shorts should get ready. Until then, traders should simply maintain their positions and protect their gains. Since the September 9, 2013 unsuccessful attempt to take out the August 19, 2013 closing high of 507.74, AAPL has retreated to the 50% Fib retracement level near 450. After a brief dip below this level, AAPL reversed its slide and has been trying to re-establish a recovery uptrend by forming a higher-high to pair up with the recent higher-low. Although the clown show in DC is still being played, and the market is being jerk around to shake out some of the weak market participants, there are stocks that move independent of the market. Here are a few of those defiant stocks: DANG, CREE, MSFT, SNDK and TSLA. In this video, the price actions of these stocks are highlighted. Sometime the market feels like a casino, but if one apply risk management properly, one can minimize the amount of gambling on a trade and focus more on speculating. A brief review of the following stocks before the Labor Day holiday: GLD, FB, TSLA, KKD, GMCR, AAPL, NFLX, GOOG. The market was showing some strength in the early morning trading with many stocks surging higher. Then near mid-day and early afternoon, the market started to show some sign of stalling and many stocks beginning to give back majority of their morning gains. Here are some of the stocks & ETF that could move higher in the coming week: CHK SLV GLD MGM TSLA KKD FB GMCR CELG NFLX AAPL GOOG GS BAC. After an eventful week with the Nasdaq halted for trading for 3 hours due to system problem, the market continues to bounce back toward higher level. There are signs that this could be the last attempt on running up to make a new high for the market. While the trend still remains to be up, one must continue exercise caution and follow the stocks with strength. With the DJIA closing down more than 100 points, NFLX, FB & TSLA appear to be holding up well. Continue to watch and continue to hold until your catalyst is invalidated by price. The current unsettle state of the market is difficult enough to maintain the course, so don't let your opinion or personal bias influence your trading decisions. More importantly, don't let others' opinions alter your trading positions. Trade what you see and trade with your convictions. The market still in the process of deciding which direction it wants to move. 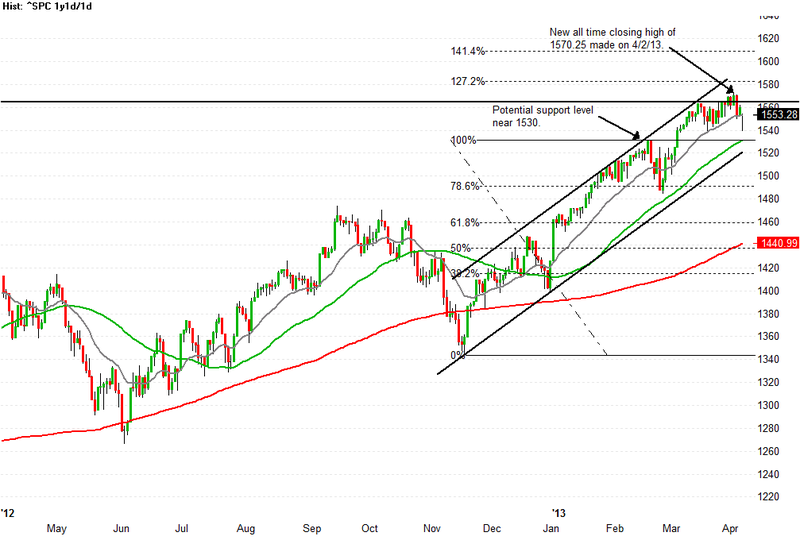 The SP500 is hanging around the 50 SMA that can easily break toward the downside or reverse back toward the upside. While the market is deciding, there are stocks showing strength and stocks at the crossroad where it can break down or reverse back up just like the market might do. Today, one simply need to look the other way and pretty much ignore in most part what the market indices are doing. The larger time frame trend for the market still pointing up, while the shorter time frame appear to be indecisive (correction or reversal?). Under the current market environment, it is very difficult to play the trend. You do not want to go aggressive long, and definitely do not want to short the market until it has clearly display the trend is down. Therefore, one must resort to be a stock picker and play the stocks that are showing strength. Since gold put in a closing low of 1212.30 on 6/27/13 and tested with a slightly higher closing low of 1213.40 on 7/5/13 in the futures market, it has been trending up toward 1350. The market got spooked from CSCO earnings report. The news of a 5% layoff from CSCO was a big surprise to the market. With the PC market slowing and IBM projecting a tough quarter ahead, it was a making for the tech sector to get hit. Since IBM, CSCO and INTC are part of the DJIA, a 200+ point on the downside for the DJIA was not surprising. 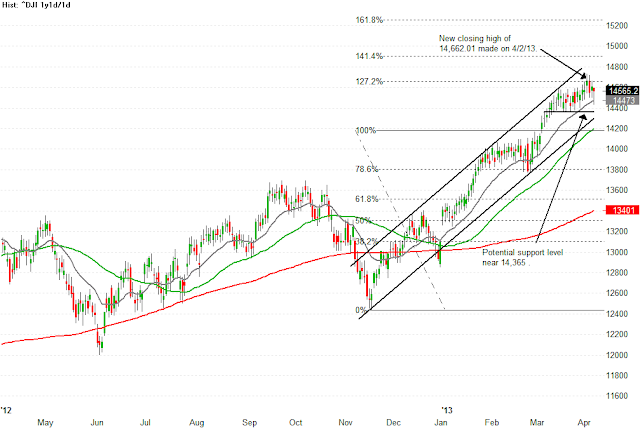 After FB moved back above the IPO price of 38, it has stalled and attempted to consolidate around the IPO price level. During the last couple trading sessions, it has broken below the IPO level and headed back down to 36. 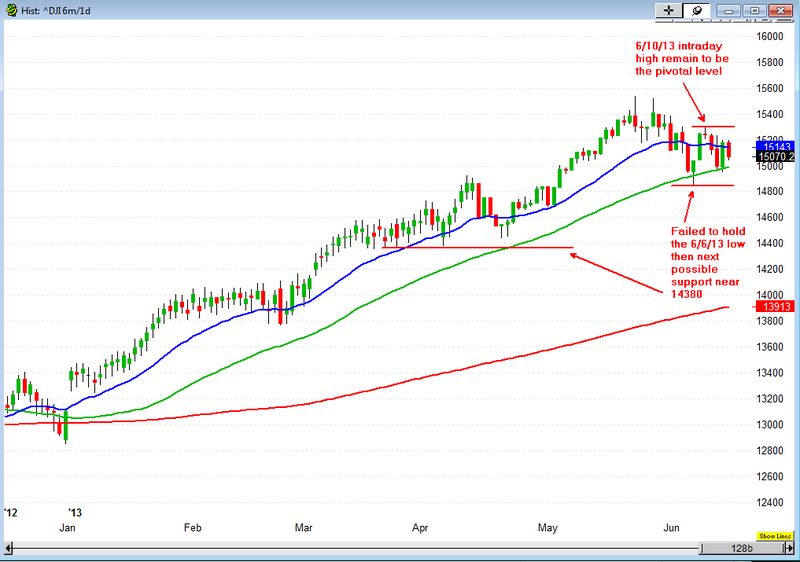 Looking at the weekly price chart, FB is in the process of completing an evening star candlestick pattern. This pattern typically is bearish when it is formed near the top of an uptrend. 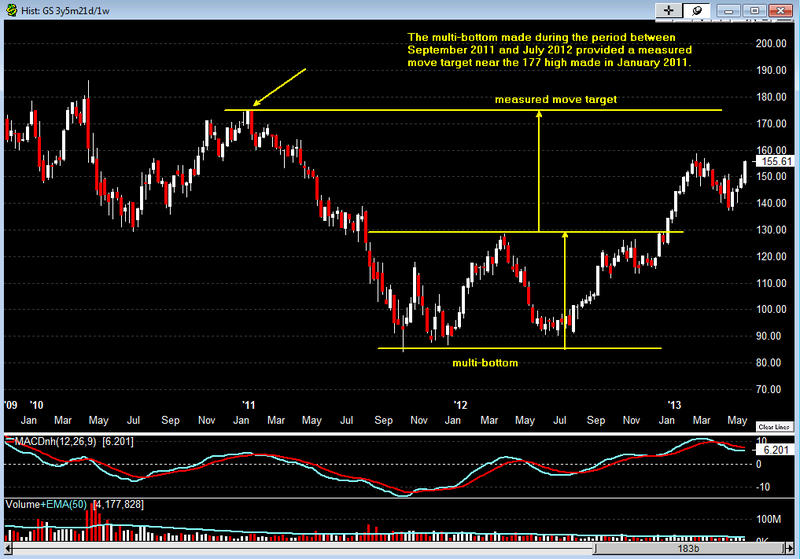 One can also see the similar price pattern formed by AAPL in September of 2012 prior to an extended retracement. After FB complete this pattern and price breaks below 36, then there could be some long opportunities when it has found support near the 34 level. Until then, one should exercise patience and wait for the next long trigger from FB. After CSCO announced its earnings and the pending layoff of 4000 people, the market sold off. From yesterday's review, the market breadth is indicating a pull back is imminent. Here is a look at the market and what to expect next. After the market closed today, CSCO reported its latest quarterly earnings and gave some surprising unsettled news about its business outlook for the coming quarter. In addition, the biggest surprise is the 5% workforce reduction (layoff) of 4000 workers worldwide. This is one thing no one is expecting, and for CSCO to take such drastic and sudden action, one must question how bad the global economy really is? Here is a follow up review for some of the stocks that were reviewed earlier. One of them is AAPL. 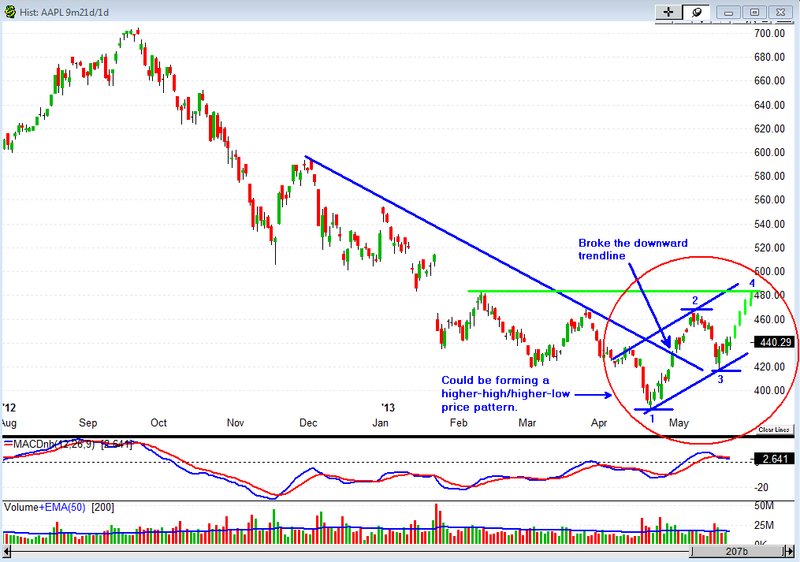 AAPL was on the verge of breaking out of the double bottom pattern. 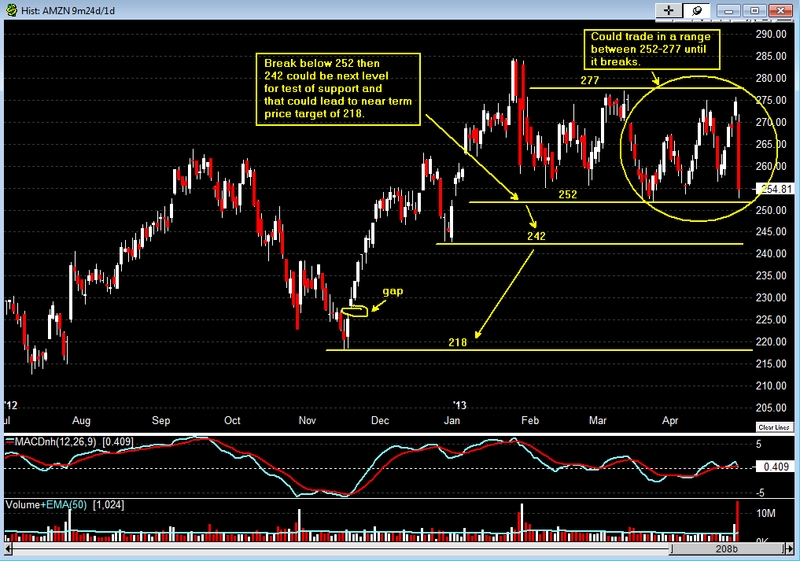 Today, AAPL made a move above the pivot near 472. Then later on the trading session, Icahn tweeted to let everyone know he has a sizable position on AAPL and he felt AAPL is very undervalued. This tweet has increased AAPL market cap by 25B (yes, with a 'B'). AAPL is currently trading like it use to trade...volatile with lot of buzz. This is the new 'old' AAPL. 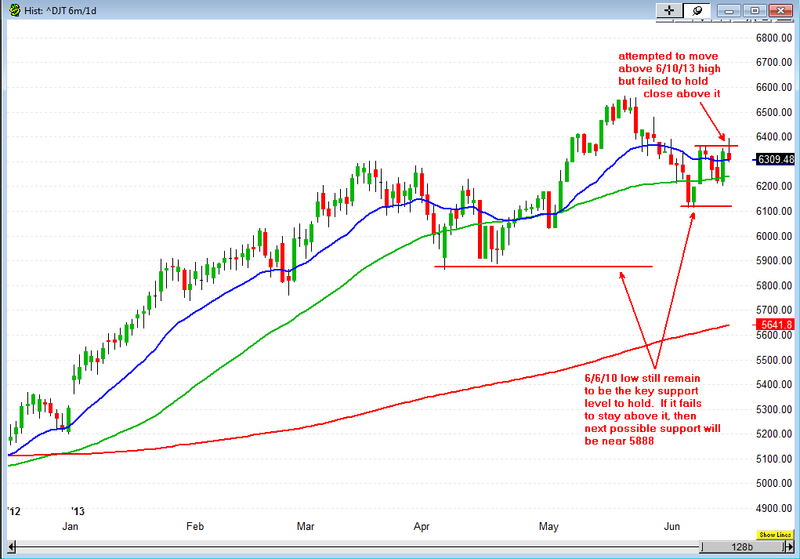 Here is an analysis of AAPL and NFLX using daily, weekly and the 30 minutes intraday price chart to identify potential support & resistance levels, and possible price targets. After an impressive run, the home builders have retreated and they have retraced to possible key support levels. If these support levels failed to hold, then look for further retracement from these stocks. The market pulled back slightly last week. It might feel worst than it seems, since there are many days with triple digits intraday loss ended with a modest loss. This type of price action might give us some false sense of security. But, the trend is still pointing up, so until the market tell us otherwise, continue to trade the current trend. After the precious metals made their low in June, they been grinding back up to the mid-June price gap. The silver ETF, SLV is also trying to break above the 19.80 level and possibly move up toward filling the June price gap. The Fib 161% extension level near 994 proved to be the resistance for PCLN on the day after it has reported its earnings. The intraday high for 8/9/2013 was 994.98. As shown on the daily price chart, the price essentially reached the upper band of the rising price channel, and it appears the resistance has prevented PCLN from reaching the 1000 level on this attempt. Let’s take a look at some of the MOMO stocks that have recently reported earnings: GOOG, AMZN, NFLX, TSLA, and LNKD. PCLN reported its latest quarterly earnings after the close today and the price of its stock moved toward the $1000 mark in after hour trading. The option market priced a possible +-$54 price movement on earnings, a 5.8% based on the normal trading session close of 933.75. As one can see from the chart in the video, PCLN closed at 984.04 in the after hour session. Certainly there was no shortage of anxieties and anticipations from those that were waiting for the earnings report to come out for TSLA and GMCR after the market close today. 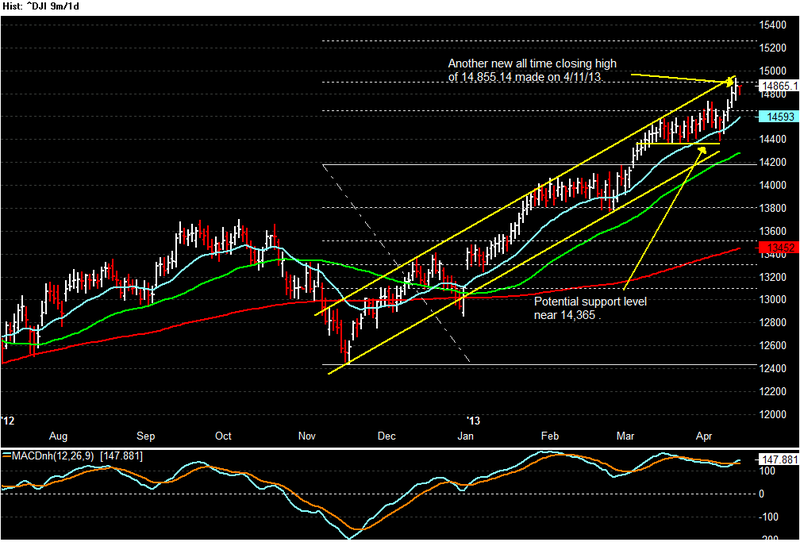 Those that are holding long position on TSLA certainly got rewarded, but those that are holding long on GMCR did not. As recent history has shown, the two most hated stocks are rewarding those that are willing to put their feelings (bias) aside and trade according to price action. The two stocks I’m referring to are FB and AAPL. BBRY could be another one of those hated stock making a similar move. Don’t be blinded or influenced by all the chatters, whether they are positive or negative. Put away whatever bias you might have and trade what you see. How high can BBRY bounce off its recent low and how long will this move last? Who knows? As a trader, just trade it until it stops moving. As always, trade your plan. Two heavily shorted stocks are scheduled to report their earnings after the market close tomorrow, they are GMCR and TSLA. The option marketing is pricing these two stocks to have price movement of approximately plus/minus 13% or plus/minus $11.00 and $18.00 respectively. MGM has been trending upward from the lower bound ($9.00) of its multi-year trading band to the upper bound ($17.00) since the end of 2012. It has broken through the $16 resistance level and currently testing the $17.00 trading band resistance. 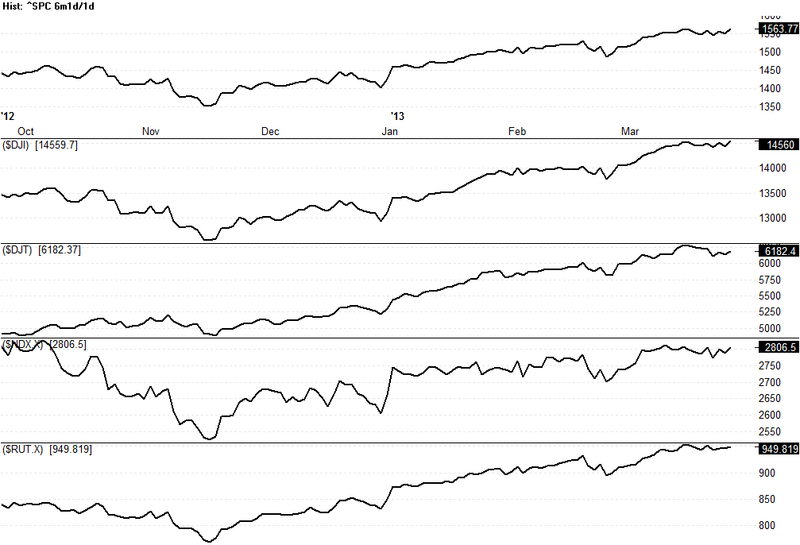 The short term moving average, 20EMA, along with the 50 & 200 days SMA have been rising with prices trending above them. Here is an earlier post on MGM setup. But, before the market open for trading on 8/6/13 (Tuesday), MGM will report its quarterly earnings. Depending on the quarterly results and/or the forward guidance, the price of its stock can react positively or negatively. One could avoid the adverse price reaction to earnings surprises by taking off all bets on MGM until after earnings have been reported. As always, trade your plan. Whenever fear & greed are at an elevated level, there are no rationales to stock value. This is exactly what is happening to TSLA, similarly to NFLX, AMZN and many Web 1.0 stocks back in the dot com bubble. No one say you have to like it or accept it, you could just watch and learn how the game plays out over and over again. So whether you are in the TSLA trade or simply being a spectator...ENJOY the game (even if you know how this game will end). If you are in the trade, I wish you will make a lot of money and be able to keep them. Good luck traders! Ever since FB reported its latest quarterly earnings, the composure of its stock price action has changed. It has surprised lot of traders that do not believe FB could move back into its IPO price of $38 this quickly. Now many of these traders are waiting for a pullback to buy in. The most likely scenario is those that have missed the initial move will end up chasing the high as FB run toward the IPO high near $45. The market continues to make new all time high and stocks are on the verge of making new 52 weeks high. There are so many stocks in every sector displaying price action that can propel them into new 52 week or new all time high. There are simply too many stocks to choose to go long, it is getting scarey. The following video will review the market along with highlighting some of the stocks that have the possibility of breaking out to new high. The option market is pricing in a ±10% or ±$5.25 price move for 3D System earnings report before the market open today. The stock made a big move ahead of earnings. Could it be someone know something ahead ER or someone simply betting big on a positive earnings report outcome? Here are some stocks that could be on the move: AAPL, FB, GOOG, CHK, PFE. The market continue to close at record level and the DJIA, SP500, Nasdaq 100, Russell 2000 are holding their gains near their record high territory. AAPL reported its quarterly earnings after the close on 7/23/2013. The surprising result was the strong sale of the iphone. The market was expecting somewhere around 26 million, and AAPL sold 31 million iphone and that gave the stock price a boost during after hour trading. After the SP500 closed with new all time high at 1692.09 on July 19, 2013, what’s next? 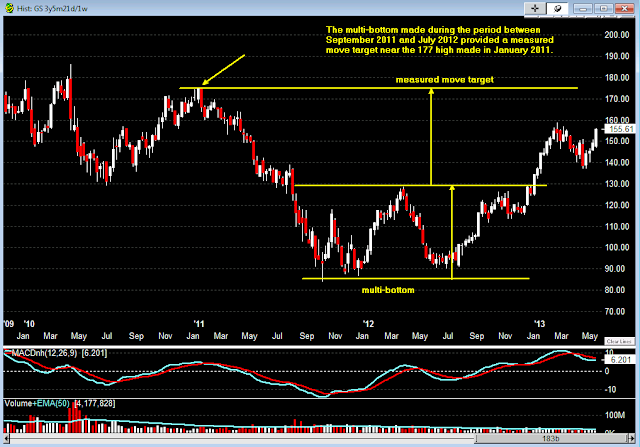 Here is a break down on recent price action from MGM. As one can see from the weekly chart (figure 1), ever since MGM made its low in March, 2009, it has been trading within a trading range of $9.00 to $17.00. The last time it touched the lower bound of this trading range was in November, 2012. Now, the price has climb back near the upper bound of this trading range and could possibly breakout of this range. The market closed at another new all time high. The DJT gave a Dow Theory confirmation today by closing at a new all time high along with the DJIA. The only index that shows a slight weakness is the Nasdaq 100, and that is due to some negative stock price reactions from disappointed earnings report. As investors start pulling their money out of bonds, and country like Japan and eventually China start dumping their U.S. treasury holdings, U.S. long term rates will rise. 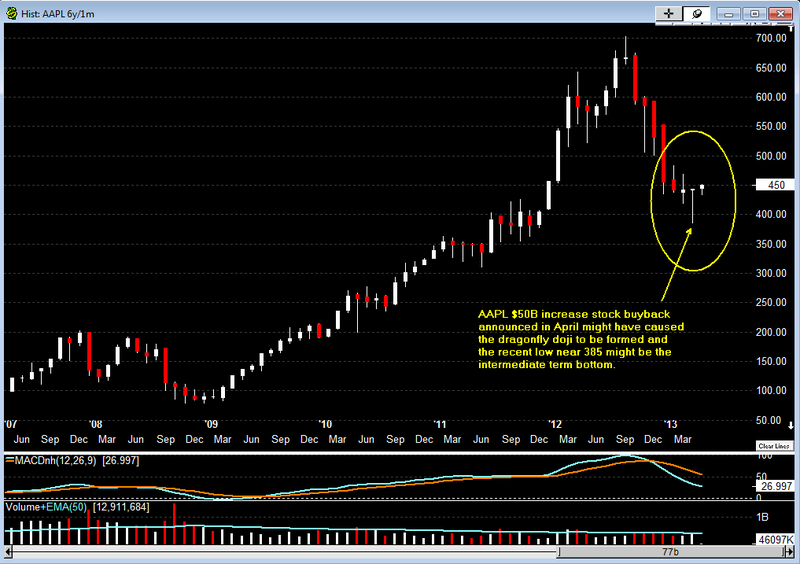 AAPL might have established a near term double bottom, or it could be forming an inverted cup & handle pattern. Until it has confirmed which price pattern is in play, any swing trades will be elusive. Looking at TSLA with the FIB tool to find some potential price targets and possible resistance & support levels. NOK and gold could be on the move. Here are the charts for NOK & gold futures. The market bounced as anticipated. 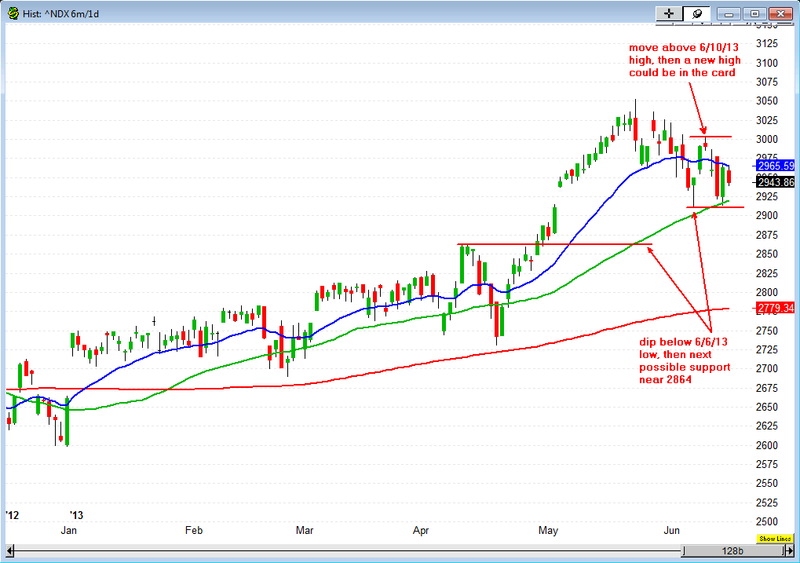 Before it did, the market put in another triple digit down day for the DJIA on Monday to lure more shorts into the market before it heads back up toward potential resistance level. One can call this rally the “dead cat bounce”, “oversold rally”, or “end of the quarter window dressing rally”. In regardless what label to use for this bounce, the real question is where will this market go from here? Here is the mystery chart (see below) I have posted on Sunday. If I have stated the chart belongs to AAPL, most people would have given the outcome based on what they like to see but not what could likely occur. Here are some stocks that might have some interesting price movement for the coming week. After the market rallied on Tuesday and took out the June 10, 2013 pivot high, the market accelerated downward when the FOMC made its announcement on Wednesday. This abrupt market reversal should not be a complete surprise to all market participants since the advance/decline line and the new high/new low indicators were alerting us to remain cautious and beware of head fake("The Market Decision"). Today, the market appears to have decided to resume back toward the new high territory. Getting to the new high territory is a wait and see matter at this time. But at least the Russell 2000 has pointed the way by closing with a new all time high today(without the notice from those talking heads). From the recent price actions in gold, silver and some of the mining stocks, it appears the precious metals might be setting up for a bounce after the recent turbulent drop. Here is a video reviewing the recent price actions and some of the possible upside price targets and breakout levels. The market is at the crossroad once again. One move from the market and it will propel into another new high or it will dip below the recent pivot support to begin an extended downward move. As stated previously, the June 10, 2013 intraday high from the DJIA, the SP500, the Nasdaq 100, and the Russell 2000 are the pivot levels the market needs to penetrate in order to resume its uptrend. If the market failed to move above the June 10 high and dip below the June 6, 2013 intraday low for the DJIA the SP500, the Nasdaq 100, and the Russell 2000, then the market will likely be headed down to a level that will likely exceed the typical 5-8% correction. The dip below June 6, 2013 low will affirm the new all time high of 15,409.39 made by DJIA on May 28, 2013 is the market top as measured by the DJIA and by the Dow Theory non-confirmation by the DJT. NFLX finally broken out of the developing wedge pattern, and it could be heading down to fill the gap made between 4/22/2013 and 4/23/2013. 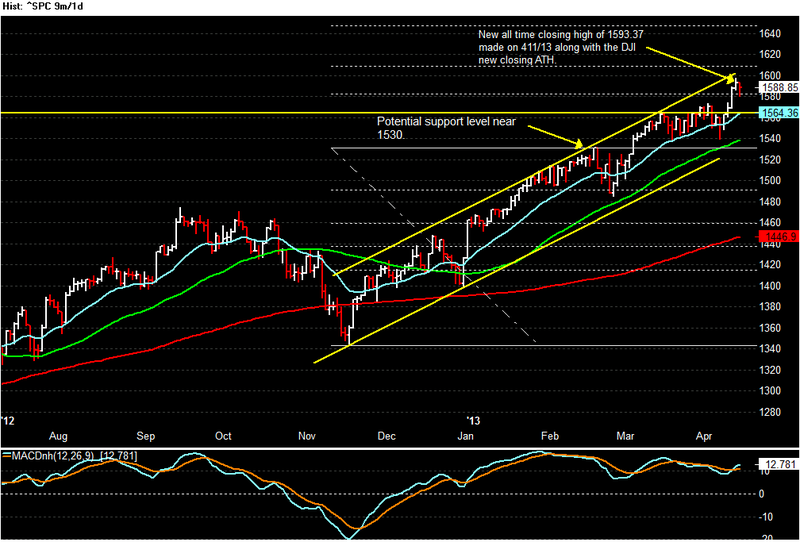 Before it gets there, it will likely encounter some support levels. 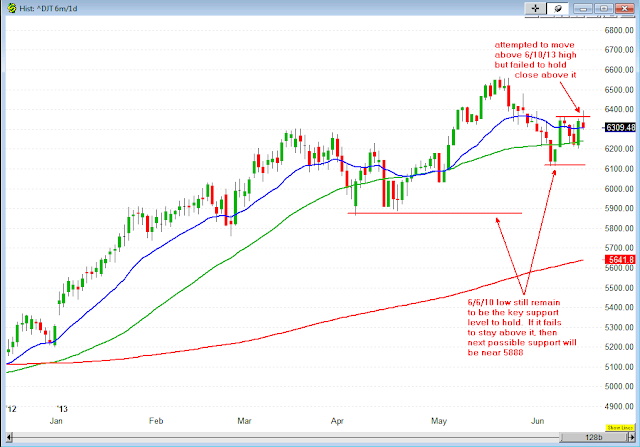 In this video, we will look at some of those possible support levels for NFLX. Today the market finished nearly little change from previous session. The SP500 closed at 1642.81 with a loss of 0.57, the DJIA closed at 15,238.60, -9.50, Nasdaq 100 loss 0.38 with a close of 2990.49, and finally the Russell 2000 closed with a small gain of 5.05 at 992.67. With the annual WWDC next week, AAPL is bound to experience additional volatility as the market anticipate the company to make some new product announcements. After the market closed tomorrow, LULU will be reporting its earnings. The market will find out then how much an impact the see through fabric mishap has impacted LULU's earnings. Here is a video on where the market might be moving these stock prices in anticipating the respective company's event. The market closed the week with a gain after a few days of triple digits loss for the DJIA. On Thursday when the SP500 came down to the widely watched support level near 1598, it behaves like clockwork and bounced of this support level. The market continues to move higher on Friday and closed the week with a gain near the high of the day at 1643.38. Similarly for the DJIA, after two consecutive down week, it also closed the week with a gain at 15,248.10, the Nasdaq 100 closed up for the week at 2990.87, and the Russell 2000 closed at 987.62, up for the week. An update review of TSLA. 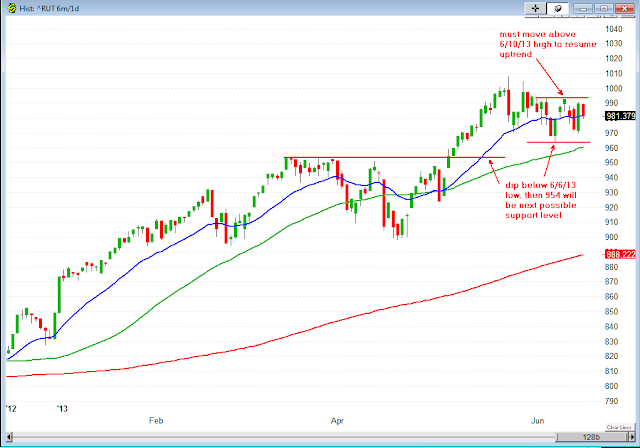 Here is a quick look at what the market did and where it might be headed. 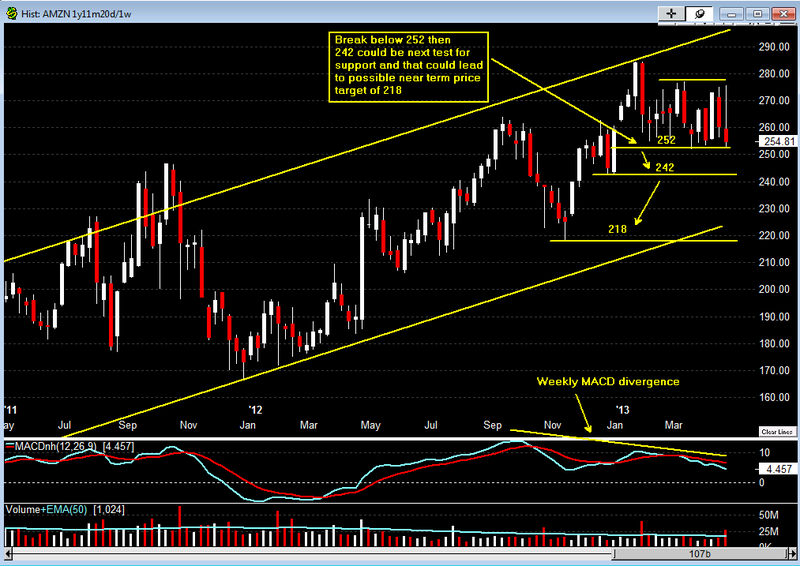 Here is a look at TSLA and potential price levels to monitor. A video review for AAPL & NFLX. The market continues to show signs of fatigue. After the big run up on the first trading session of the week, all the major market indices ended the week with a loss. After the Memorial Holiday, the U.S. market resume trading and it opened strongly with the DJIA up more than 200 points at one time, then the market started to retreat and the DJI gave back half of its gain to close at another all time high at 15409.40, +106.30 for the day. The SP500, Nasdaq 100, Russell 2000, and the DJT closed with a gain for the day as well, but they failed to close at a new high. Here is a look at where the price of AAPL, GOOG, AMZN, NFLX, BBRY and GS might be headed. 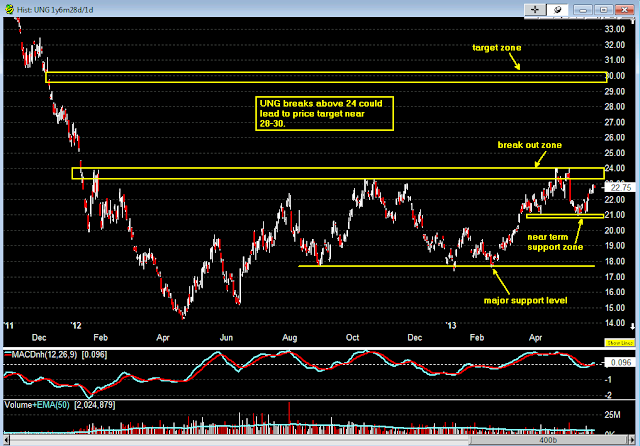 The natural gas ETF, UNG appears to be setting up to break the recent high of 24.09 level. If it does breakout, then the upside price target is between 28-30 using the measured move from the developing cup & handle pattern started in October of 2012. The market did a reversal last Wednesday and gave the market participants a spook. Before one conclude that the market has topped out, let's remind ourselves that the market top out is a process and it is not an event. 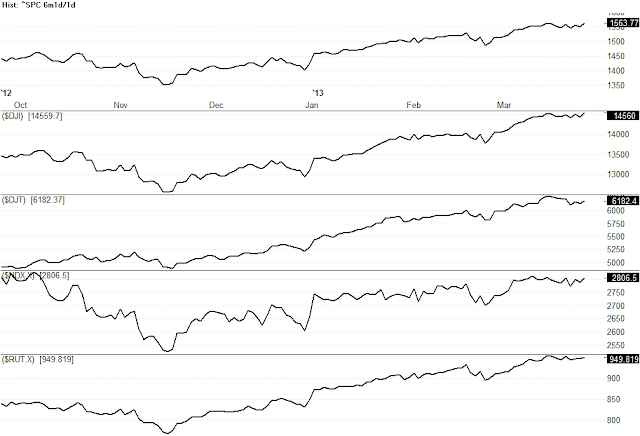 From the various indices and the market breadth indicators, they have not indicate the market has topped out. Until the market has show sign that the dip buyers are back in and the current pullback has ended, be cautious and be patient. Really! This time is different? Check these past post, "How Long Can This Last?" and "Here's When It Got Started ... SP500 1250" then ask yourself is this time any different than the past...Deja vu! If one compare the current AAPL price chart to the chart posted in "Chronicle Of A Trend Change", one can see many similarities. If AAPL breaks above 445 and move to test the resistance near 470, then it will have complete the higher-high, higher low pattern that define an uptrend. 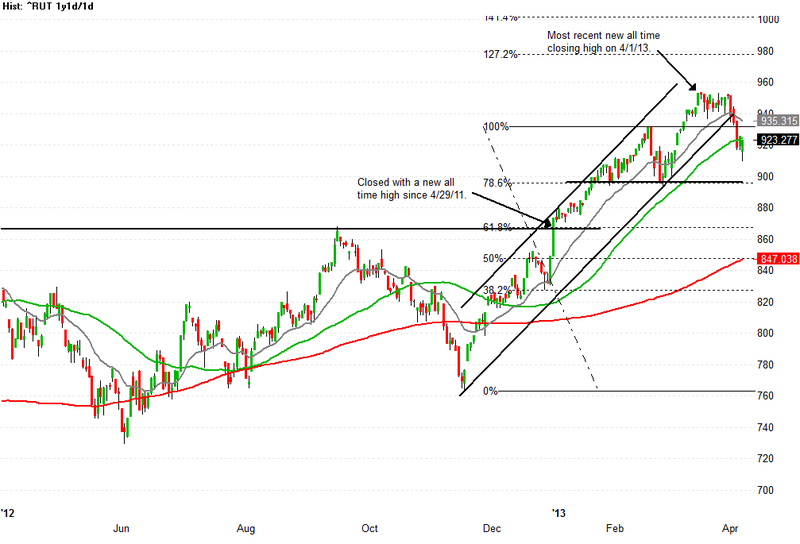 AAPL has displayed some bullish price action and could be setting up to reverse to an uptrend. The near term key resistance level for AAPL is 445. 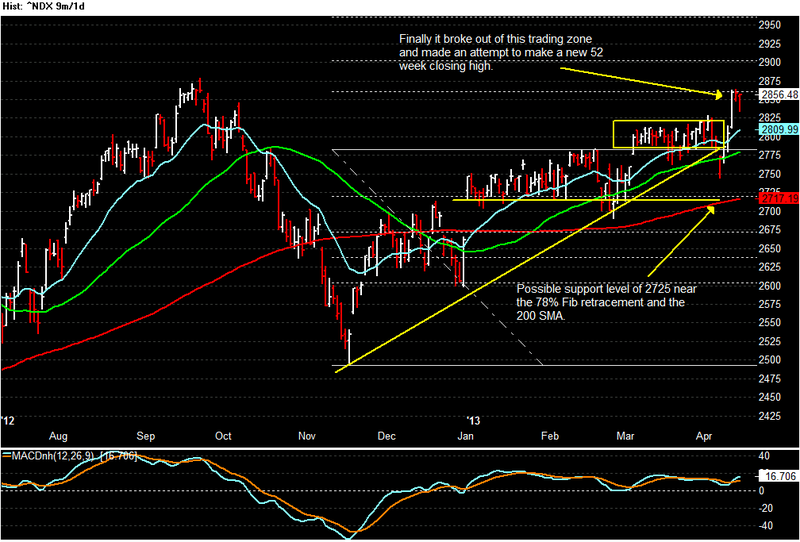 If it can break above the 445 level, then look for it to possibly move up to 465/470 level. An inverted head & shoulder price pattern will be formed if AAPL move above the 470 level, and the projected measure move price target from this price pattern is near the 555. In this video, a review on some stocks that could have upside price action in the coming week. As the market continue to climb higher, many market participants are preoccupied on waiting for the correction to appear. While these participants wait and ponder on when will this market will correct, they are missing the opportunity to long this market. Those that are focused on riding this market up are not asking "When will the overdue market correction appear?". Instead, they are asking "Are we there yet? Has the market reached the top?" Here is a video reviewing the price action for AAPL GOOG AMZN NFLX BBRY & ANGI, and where they might go. GS is also being covered in this video. Here is a weekly chart using the measured move to project a possible price target of 177 for GS. Disclosure: Long NFLX & BBRY call spread. Here is a video reviewing the price actions and potential price levels for AAPL, GOOG, AMZN, NFLX, BBRY, and ANGI. To find out what price levels the market might be targeted, check out Until The Market Change Course. Disclosure: Long NFLX & ANGI, long BBRY call spread. The market continues its upward march. After showing sign of a possible non-confirmed high might be in the making, it reaffirms its desire to move to higher level. The small caps Russell 2000 index is once again making new high along with the SP500 and the DJIA, even the DJT participated with the recent new high party until the last trading session, May 11, 2013. On May 11, the DJT failed to make a new high while all other major market indices made new high. This failure could be simply another temporary divergence between the DJIA and the DJT or it could be the final warning from the Dow Theory to alert us to prepare for the imminent market top. As the market has displayed time and time again, those that try to call the market top will be reminded who is the boss and will get punished, and those that exercise diligence and patience on listening to what the market has to say will be rewarded. At the present time, the market continues to punish those going against the prevalent trend. Let’s remind ourselves, the market topping out is a process and not an event, and it does not just reverse itself on a dime. The market has to complete the process of money transfer and risk transfer before it changes course. This transfer process takes time and as this process progress, the attuned students of the market will see this process play out. Until the market start showing signs that it is in the final stage of this transfer process, one should continue to ride the trend cautiously or head to the sideline and observe. Here is a video that review the recent market price action and highlight some of the intermediate key levels the market might be targeted. Has AAPL Made A Bottom? 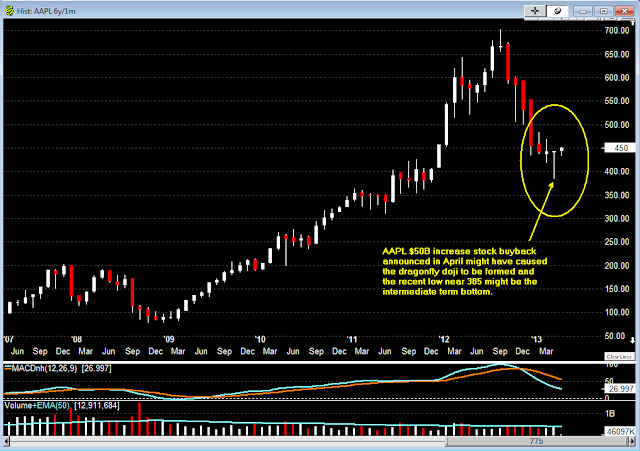 From the recent Apple stock price action, it appears an intermediate bottom for its stock price might have been made. This bottom might be due to Apple’s recent stock repurchase announcement. After Apple announced its earnings for the second quarter of fiscal 2013, it announced an increase to its stock repurchasing program from $10 billion to $60 billion. Apple reported record revenue for the quarter, but the quarterly net profit of $9.5 billion ($10.09 per diluted share) was below a year-ago same quarter result of $11.6 billion ($12.30 per diluted share). In addition, the gross margin was 37.5 percent compared to 47.4 percent in the year-ago quarter. Apple’s stock price would have reacted in an adversely negative fashion with these financial results. Instead, the stock price held above the recent low of $385.10 made on April 19, 2013. More importantly, Apple stock price has increased more than 10% since the reporting of second quarter financial results. Its stock price went from $406.13 at the 4/23/13 close to 5/2/13 closing price of $449.92. The reason Apple stock price did not reacted negatively could due to the possible price support from its $60 billion stock repurchase program. From a technical perspective, the monthly stock price chart show a dragonfly doji candle formed for the month of April. This type of candle typically signify a near term price reversal, and an intermediate low for the stock price. Usually, a dragonfly doji candle is accompanied by capitulation selling. But for AAPL, there was no increase in trading volume for the month of April. The absence of increasing volume associated with the dragonfly doji could mislead some of the AAPL bears to remain short while they wait for the capitulation to occur. This misread from those AAPL bears could turn out to be very painful and costly if the April dragonfly doji candle reflects the true price action. Click here to see possible trading price levels for AAPL. Here is a video reviewing the price actions for the following stocks that have recently posted their quarterly earnings. After a few attempts, the SP500 finally made a new all time high. The question now is where will it go? Looking at the price actions, it appears it wants to go higher until various market breadth indicators get weaker. Although in the near term the market seems to want to head higher, but couple of the big cap tech stocks appears to be bucking the trend, they are AAPL and GOOG. Both of these stocks are nearing critical support level. If they break below these support levels, they could lead the market down for the long awaited correction or a trend reversal. Here is a video reviewing the market indices and the price actions for AAPL & GOOG. 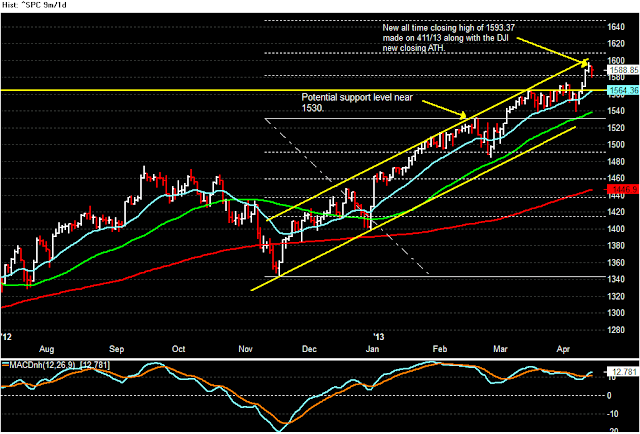 Correction: I inadvertently referred to the fib 161.8 as 168 in this video. It should be 161 extension. Today, the media talking heads had a field day on SP500 watch. The SP500 came within 1.2 points away from matching its all time closing high of 1565.15 and failed to close with a new all time high by less than 2 points. Although the SP500 failed to close with a new all time high, it did close with a new multi-year high of 1563.77 while the DJI closed with another new all time high of 14559.70. While many market participants and talking heads were watching the SP500 trying to reach a new all time high, the DJT, Nasdaq composite, and the Russell 2000 failed to make a new high. So what is the significance for the SP500 to close with a new all time high after today’s performance? Not much! The reason it doesn’t have much significance is the market is not waiting for the SP500 to help propel it into a new uptrend. To the contrary, the market appears to be waiting for the remaining index, the SP500 to make a new all time high. Am I calling a market top? Absolutely not. I am not in the business of calling market top or market bottom, I leave that task for the pundits and the talking heads. I learned long time ago it is a fool’s game to try to call the market. What I try to do is to read the market and decipher the message it sends. Sometime I get it right and other time I get it wrong. But one thing I know from years of watching the market is the market will send out signs that it is about to change direction, and some of those signs are starting to appear. Therefore, I will continue to trade defensively by reducing position size and exercising tight stops. I would rather be out of the market wishing I was in than trapped in the market wishing I was out. As the Cyprus sideshow continues, the US market continues to hold onto its high ground. 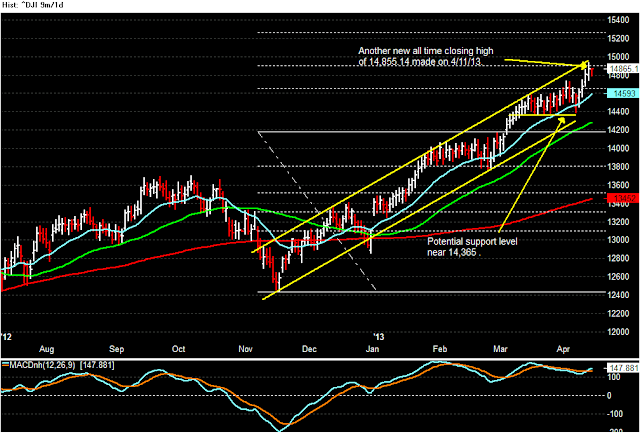 The SP500 continues to flirt with taking out the old all time high of 1565.15. From the market price actions, it appears to be a matter of time that the SP500 will hit its all time high level. Although the market breadth indicators are still in good shape, but the extended move the market has made without a pullback continue to cause traders to be cautious. Here is a video reviewing the market indices and a look at some momentum stocks such as AAPL, GOOG, AMZN, DDD, NFLX. After the initial pullback from the Cyprus banking problem, the market came roaring back and flirting with making another new all time high. While many disbelieved market participants and talking heads looking for a correction, the market continues to move higher with good breadth. 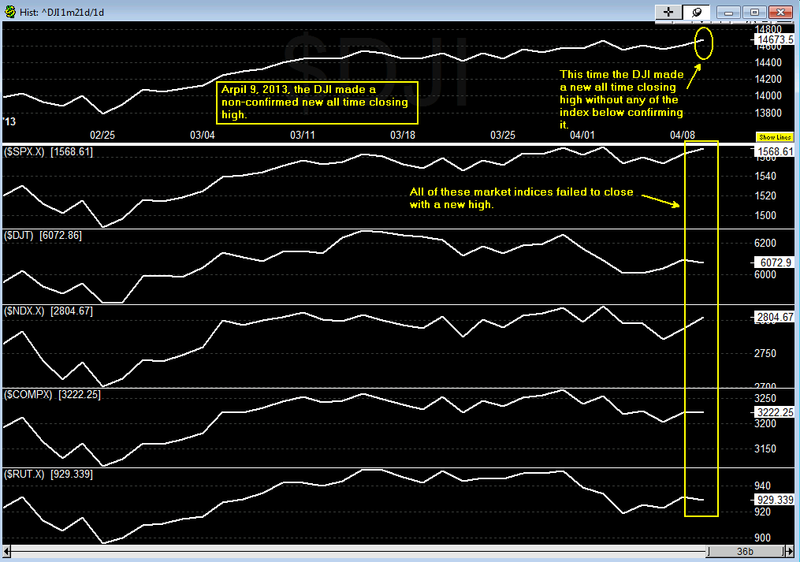 The market will not be near a top until the market breadth starts to deteriorate. Here is a video reviewing the market indices and a follow up review on the stocks that were highlighted from previous video. The market has been making new all time high as market participants wait for the long overdue correction or pullback. So far, every little dips were met with buyers. The market does not appear to be looking for a catalyst to move higher; instead, it is waiting for a catalyst to selloff. The breadth of the market has not deteriorated even though the market is extended. Until those breadth indicators start showing signs of shifting from strength to weakness, the market will continue to grind higher. During this weekend, a development in the Euro zone is being play out and that could be the catalyst or the excuse the market has been waiting for to start the long awaited correction. No one will know how the market will open next week, but as a trader, one can only trade based on price actions and not on believes. Here is a video highlighting the price actions of the market indices and some stocks that show potential trade possibilities going forward. Continue to exercise caution and trade defensively. Wait for the setup and the trigger. Do not attempt to outguess the market! Correction: ORCL is attempt to make a new multi-year high, not a new all time high. Have you ever notice lot of breakout moves ended up as a fake out, or that you have enter a breakout trade only to be shook out from a quick retracement back below the breakout level. Do not feel bad if you have experienced those trades, we all have. But have you ever try to look at these breakout levels from a different perspective? Instead of looking at these levels as breakout level, look at them as target level. Can you guess who trade this way? Here’s a clue, wholesale/retail. The following video shows some examples of trading breakout toward breakout. The market continues to move higher. The DJI, DJT & RUT all made new all time high. The SP500 is less than 15 points from its all time high. Although the market is trending up, there are stocks showing signs of fatigue. Cautions should be exercise on all new long positions, and apply trailing stops to protect unrealized profits. Here is a video reviewing the market indices and some stocks for possible longs & shorts. Stocks covered in the video: aapl, goog, nflx, bidu, fcx, xom cvx, cop, oxy, joy, wft, ung, angi, p, grpn, rax, akam, ms, gs, tbt, tlt, kol, rig, mcp. The DJI made history on 3/5/2013 by closing with a new all time high at 14,253.80, surpassing the previous all time high made on 10/9/2007 at 14,164.53. This new all time high on the DJI also confirmed by a new all time high from the DJT. The DJT closed at 6136.72. Based on the Dow Theory, this confirmation indicates potential newer high to come for the DJI. Here is a video recapping the market indices and reviewing AAPL NFLX GOOG AMZN FB. note: The chart for the DJT in the video did not include the 3/5/2012 price bar. See the chart below for the updated DJT chart. There it is, another new 52 weeks high for the DJI. Did you celebrate this new high with all those talking heads? Strange how little attention and fanfare this new 52 weeks high received. If you were watching the DJI during the closing minutes of the last trading session, you would have notice how it was fluctuating between the previous 52 weeks high before it sneaked up and closed above it. Strange or deceptive? The market can't hide its action but it will try to be deceptive to fool most of the market participants. Here is a video on some possible scenario for the market and the index ETF.